Bodycare presents full sleeves vest for daily wear boys. Made from ultra-soft cotton fabric, this vest offers maximum comfort. Shoulder button access for easy dressing. 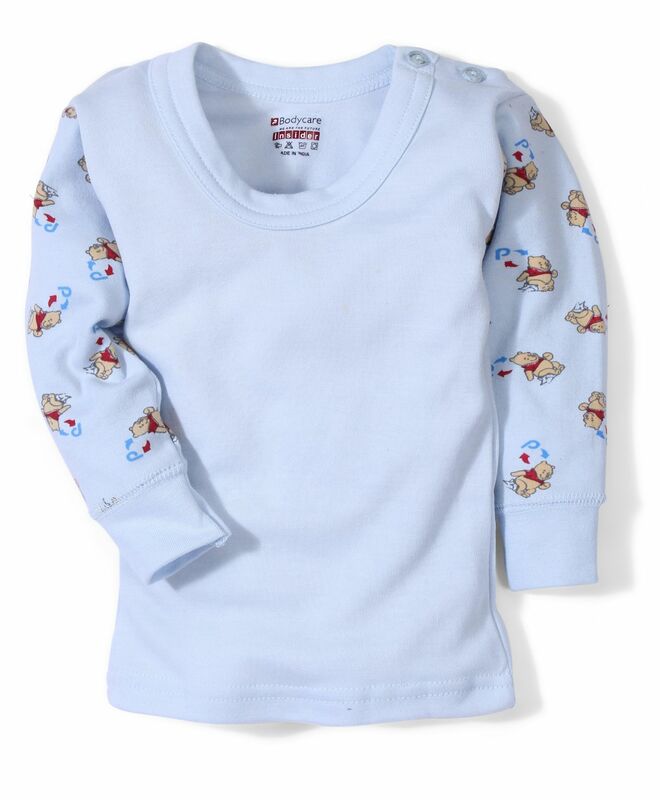 Winnie the Pooh print on sleeves gives this vest an adorable look.